It’s almost been 11 months since I had my Gastric Bypass and it’s been one heck of a journey. I guess I never knew what it would be like and I didn’t know what to expect. I could only go by what I had read and heard about the procedure and so in a way I went in knowing some things but the experience is so much greater than what you’re told. I guess the only way to explain Gastric Bypass is to say it’s like giving birth. You hear stories and learn about it but until you actually go through the labour you can’t truly know what it’s like. Likewise for Gastric Bypass and Bariatric Surgery, until you’re actually on the losers bench, it’s just all theory and that can only get you so far. So one of the subjects I’d like to focus on today is the issue of ditching the Carbs after Gastric Bypass. Immediately after bariatric surgery you go onto a liquid diet, followed by the pureed diet and then the soft food diet. A bariatric diet allows for carbs however I’ve always been told it’s the last thing to eat. Whether your on pureed or soft foods or are now able to eat solid foods once more the advice is the same. Firstly you eat the protein, followed by vegetables and then if you have room in your pouch you can have carbs. 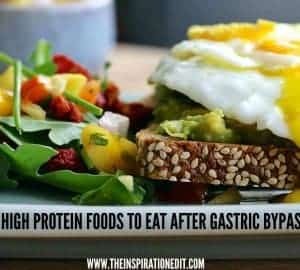 Eating protein after Gastric bypass is super important. It’s needed for the body to repair and to maintain muscle and strength as you lose weight. Filling up on protein can really help the body to feel fuller for longer and is a really important focus for bariatric patients. I’ve always been told by my dietician, if I can fill up on protein and veg then I won’t need the carbs and the less carbs the better for weight loss. However, for me carbs are often my favourite part of the meal. I love potatoes, rice, pasta and bread so not having any at all is not going to work for me. Instead I have a very small amount of carbs which I do save for last and enjoy. If I’m having a casserole, I’ll eat the meat, then veg and then a small potato. Likewise, with spaghetti bolognese or a pasta dish, I will now serve much more protein onto my plate and have a very small serving of pasta. I also add beans and lentils to my meals to up the protein and add few if little carbs. Cutting down on carbs is not easy for me. I really do like potato and rice and so I guess like with any food, moderation is the key. Can I ditch the carbs completely? I think if I quit carbs completely I’d end up feeling like I’m missing out and then want them even more. If I just have a small amount per meal, it satisfies and I feel better about it. The key for me is moderation. I still love sandwiches, however I don’t eat certain bread anymore. I don’t eat wrap or tortilla bread and avoid white bread. If I really want a sandwich I will get a thin or brown bread and cut off the crusts which I now see as extra calories I don’t need. I’ll put plenty of protein, lean meats or low-fat cheese into the sandwich and lots of salad items. I can then enjoy a sandwich which has a higher portion of protein and veg to carbs. After gastric bypass you avoid fried and fatty foods. I don’t eat anything like chips or fries anymore. If I really fancy something special I might have half a jacket potato or a few wedges. I guess it’s not about ditching the carbs altogether but rather about ditching certain carbs which are cooked in certain ways. I’ll still have a few spoons of rice with a meal but I’m not going to go and eat a huge risotto. I no longer really have a desire for pasta based meals too. I don’t fancy ever having lasagna again, but if I were to have it, I’d make my own sauces which were low in sugar and make it a protein, bean and veg lasagna instead. I guess having a Gastric bypass is a tool. It helps me to eat less carbs but I have to make the choices of which carbs to eat if I do have them. Carbohydrates are now a little extra added to a meal, rather than a carb based meal. It’s not easy getting used to these changes but it’s important and will help me to hopefully lose more weight. I’ll continue to try and focus on the protein and veg and hopefully find some lovely low carb or no carb recipes to try out in the coming months. Do you have a favourite no carb meal? 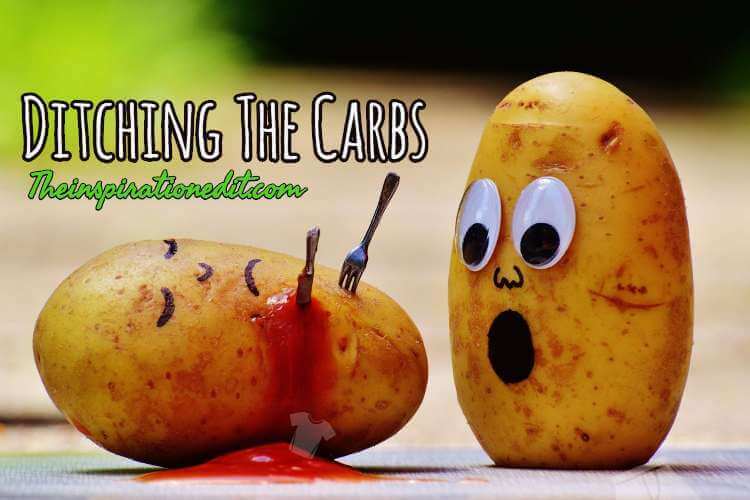 Have you ditched the carbs or do you need a few to keep you going like me? I love this – I’m a strict low-carber and it works for me, but it doesn’t for everyone. That said, lowering unhealthy carbs I think is essential for weight loss, and the fact that you can make it work AND it’s changed the way you think about food is absolutely inspiring. I love the artwork, too. Great site! oh thats cool. It really does help. I like potatoes but am working hard to focus on protein and veg and eat less carbs. Thanks Laura. Your advice is fab! I’m not sure whether Gastric bypass is the solution. It has been tough but at east im sharing the reality of it! Glad you find it interesting. Please don’t beat yourself up about some weight gain while in hospital – it is a marathon not a sprint. I do find that when I fast once a week I feel better if I use my 500 calorie allowance for protein I feel a lot more satisfied and the calories go further. I find I loose weight and feel better if I avoid carbs or at least keep them in limited amounts in my diet. I love my pasta and and bread but I feel better with less. I hope you are feeling better after your hospital stay! Good luck with the weight loss. Luckily I am not a huge pasta fan…but I do love potatoes. I love my veg but I have to admit that carbs are my downfall! I could do without protein (obviously not literally, but you know what I mean!) so I do my best to fill up on veggies before hitting the carbs. I’m sorry to hear about your setback over Christmas – I’m sure you’ll manage to get back on track this year though. Vegies are the best… I do like my protein though! I like bread so I now cut the crusts off to half the calories! Ok, In my experience, ditching carbs is Nye on impossible! I’ve tried twice, and each time I ended up feeling so ill with the low blood sugar levels, that I had to give in. You are doing fantastically. Well done! Thanks Anna. I am trying but sometimes I’m not perfect with my eating plan! No one is! Hey good luck. The protein and veg will keep feeling full. But I get you about the carbs! Living in France now and I can’t get away from the French bread or the croissants – so deliciously scrummy. So moderation is the key, it’s a treat, and lots and lots of exercise! I agree. Protein is the one thing I need lots of! I agree. I love ham sandwiches so now i chop off the crusts and add tons of salad if I feel like a sandwich! 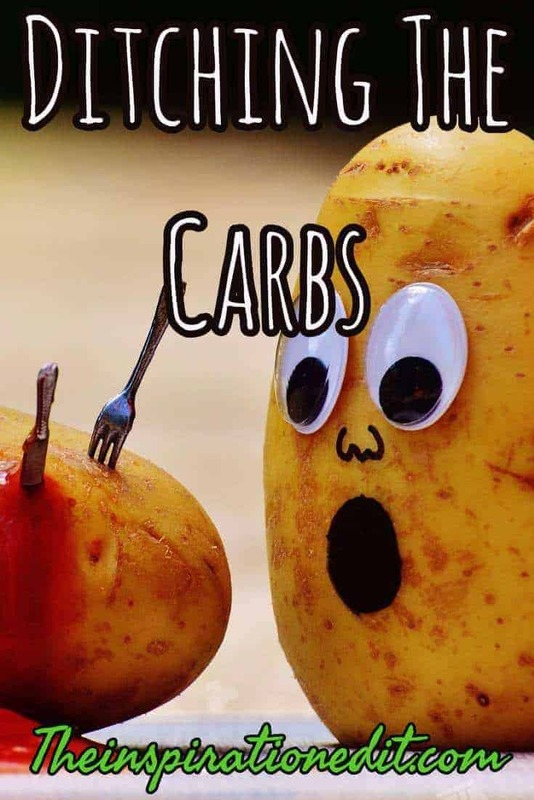 Oh gosh I love carbs too and it sounds like you’re doing so well to have as little as possible! Wishing you the best for fighting that weight. thanks. It’s a tough journey but I am doing my best! Try not to worry about the weight. It will drop off eventually. Good luck with it all. I hope it does come off! Great ideas! We will have to try this!